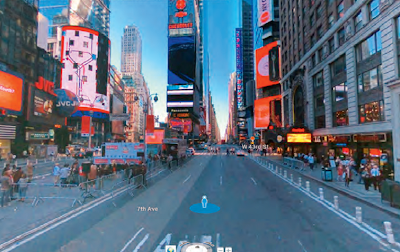 Everyone can experience real like 3D street view experience on the Google Map/Bing Map. here i explained how 3D view are brought to you. When you are about to get the detail on Google Map, you first tries to explore the Map view, after that you can switch the satellite view. And the most real experience you can get ever is by 3D street view. 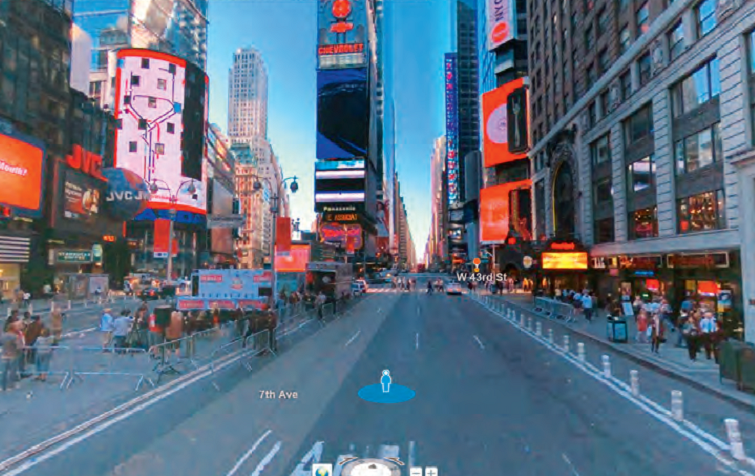 You can Navigate 360 Degree on map and even get the object detail even closer with your navigation. Not only Google, Microsoft are also now sending the team equipped with ultra camera’s and sending collecting even better image. In this Post I’m going to tell you how Street maps are made and what are the steps involved in it. Firstly a street car is sent to the location in between 10 am to 2 pm and when weather and lighting condition is good. 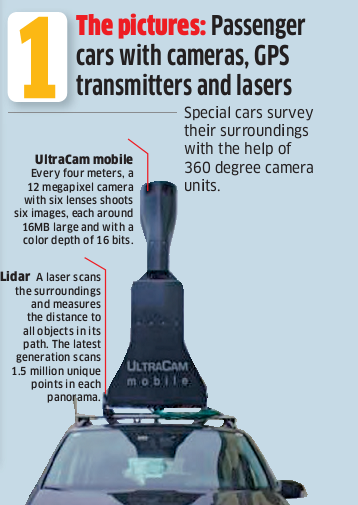 This car is mounted with Ultra camera’s of 12 MP each in each direction. This perfection works on Ladar Technology. Ladar (Light Detection and Ranging) sends the laser signal to every direction and estimate the distance and make it compatible with distance. 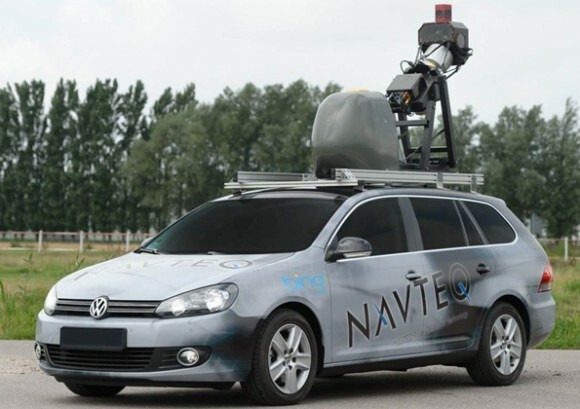 Also this car mainly collect three data, GPS location of the Car, Photo, and Laser enhanced distance measurement. Photos from all the direction are taken and due to work of Ladar, the real effects are possible to create in your browser. In normal narrow city road, these cams shoot at every 4m of distance and an average of 250 Panorama picture from 1500 individual pictures. In this way one street view shoot occupy almost 16 MB of data, these data in HDD are than send to the data center for further processing. These data center processes almost of 50-100 TB of data/Week. 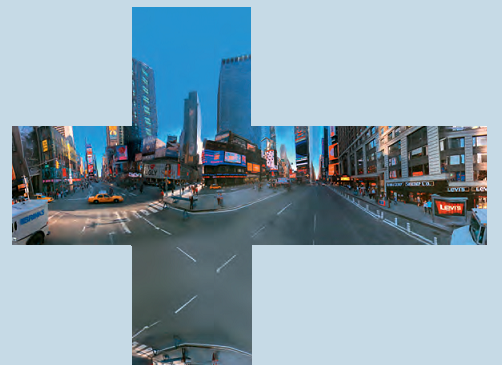 After shooting the images, (in Microsoft’s Case) these images are combined, say mainly 6 images are taken as each side of the cube and Microsoft uses its own developed code to combine them, this software is known as Photosynth. This software detect the similar objects in cube and join them, it also adjust the brightness and light level of two different images. 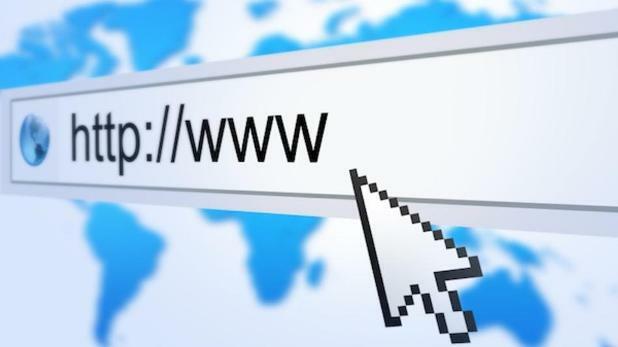 These cubes are produced in different quality for browsing in different devices. Due to this much of effort behind the quality, you need to have advance plug-ins like flash or HTML 5 in your browser. After the image are confined in storage, now one more and most important step are to be followed, all the identities are made anonymous. Special software used for doing this entire task. 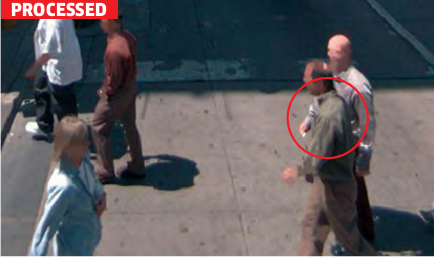 This software process the raw data and it automatically differentiate between the real person and statue. A statue doesn't need to be made anonymous but all the license plates of vehicles and person’s face are blurred so that no privacy should be exposed. And after all these, data of all the cities are saved on different mirrored servers around the world for security reasons. While browsing the Bing Map, you’ll notice the small blue man, click on it will enter you inside the 3D street view, first you’ll see the low resolution image, after zooming to a point, the higher resolution image are loaded inside your browser cache and give you greater details of the view. All the processing and switching between the one to another street views are done on client side i.e. Browser and this all take less than 20 ms, you can’t even notice. Also one more point, all the cities data are not saved on single server, these data’s are saved on different servers and all those data are browsed from different part of globe within instance. This decentralized concept prevents data loss for any area due to server down of single location. Hope you loved this post and will got to know many things hidden to your mind. Leave your comment below.